Discreet size and lightweight design of the d:vote™ 4099 Instrument Microphone provides extremely natural sound and high durability. 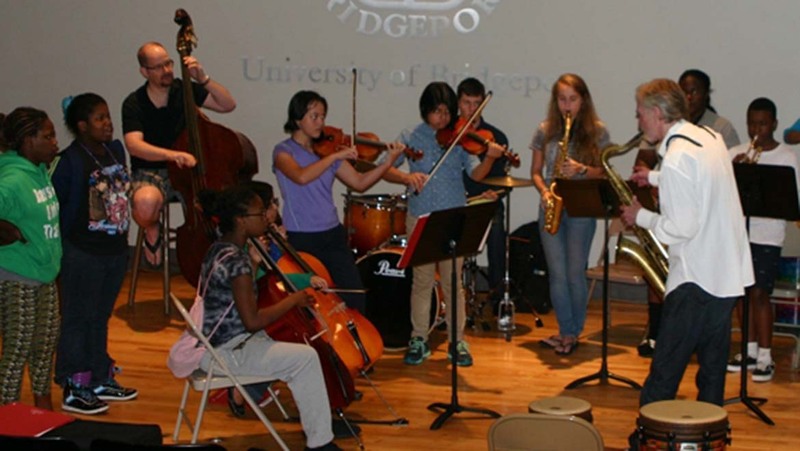 BackCountry Jazz is a non-profit organization dedicated to engaging the creative spirit, encouraging self-expression and stimulating academic performance of underserved youth in Bridgeport, Connecticut through high quality music programs. With a recent push to advance its music education program, the association was looking for a way to provide professional quality microphones to its students. Turning to DPA Microphones, the organization’s founder and internationally renowned tenor saxophonist Bennie Wallace selected the d:vote™ 4099 Instrument Mics for a critical mission — BackCountry Jazz’s annual fundraiser concert. Serving as the kick off to the organization’s summer music camp, the benefit performance is just one of the many professional or student ensemble concerts that are held throughout the year. In addition to these events, the organization’s four d:vote™ Mics will be incorporated into classroom lessons during summer camp. Founded by tenor saxophonist Bennie Wallace in 2007, BackCountry Jazz’s mission is carried out through a commitment to music education. In addition to presenting outstanding concerts with major artists and rising jazz stars, BCJ aims to educate and inspire youth while celebrating, preserving and expanding the rich tradition of America’s art form, Jazz.